Do you hate the fact that your weekends are spent off doing gutter cleaning? Well today is your lucky day as Cavalier Window Cleaning & Power Washing will clean the gutters leaving them spotless. Your gutters are the veins to your roof and need to keep it protected from mold and moisture problems but sometimes; things end up getting in the way of our gutters. Our gutter cleaning service will make you want to come back for more and tidy up around your exterior. Gutter systems are designed from the highest quality of materials. They are not designed to carry debris such as excessive leaves, pine needles, and other debris. These items tend to clog gutters up which ends up blocking the downspout. Most homeowners are not aware of the fact that trapped, stagnate water in a clogged gutter system serves as the perfect breeding ground for many types of insects. This even includes mosquitoes. A gutter in Charlottesville can also be filled with nests that house rodents. You may be asking yourself why hire gutter specialists? When you own your own home, many responsibilities go with it. Hiring a professional is just a way of life. You need professional contractors around to get a job done right and to keep safe. Climbing up a ladder can be quite scary depending on high up you need to climb to reach the gutter system. For your safety; we highly recommend hiring someone to clean your gutters as this will prevent any accidents from happening. Often overlooked; the gutters on your home serve a greater purpose. 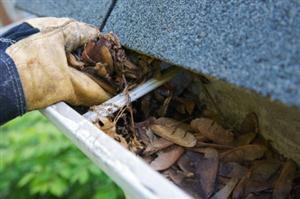 Rain gutters are an essential; part of the home as they keep excessive rain from staying on the roof. They help with the maintenance of the roofing system on the home as well. If you are in need of gutter cleaning so that you can actually have the weekend off; please do not hesitate to call Cavalier Window Cleaning & Power Washing. Our cleanings are very thoroughly and always done by licensed professionals who have experience in the trade. 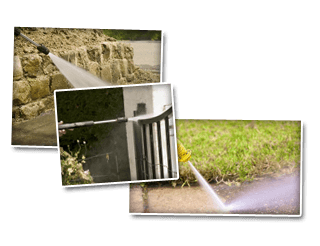 If you are looking for Gutter Cleaning Services then please call 434-823-1737 or 540-910-1434 or complete our online request form.